Fill an autumn day and/or evening with entertainment-packed fun at eckert’s in versailles. Admission prices vary and are based on entertainment activities offered on a particular day. 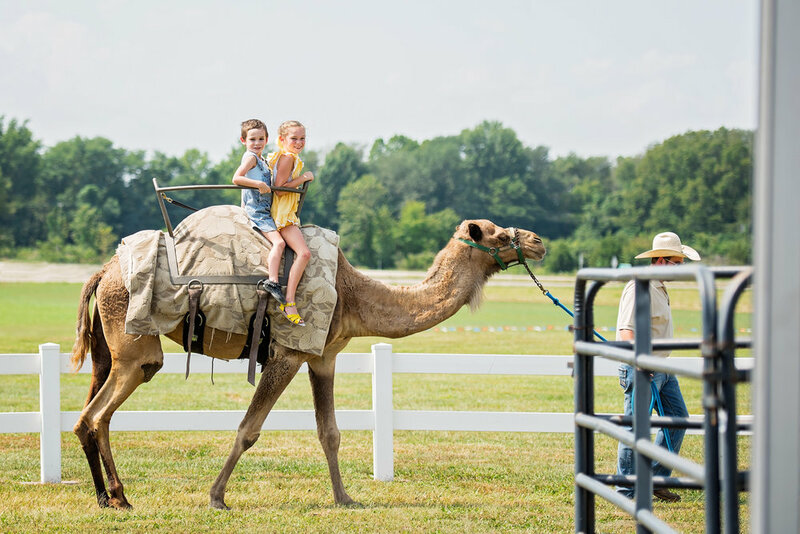 Additional fees, separate of admission, apply to pick-your-own produce (offered daily), pony and camel rides (offered Saturdays and Sundays), and bonfire rentals (offered Friday and Saturday evenings—reservations required). One Haunted Hayride (available Friday and Saturday nights only). Additional Haunted Hayrides are $5 per person and may be purchased at the Fun Farm ticket booth. *In the event of inclement weather, Eckert’s may close the farm early. On such days, please check the Crop Update or call (859)873-3097. Come Visit Eckert’s Country Store & Farms in Versailles, KY.
Less than 30 minutes from Lexington.